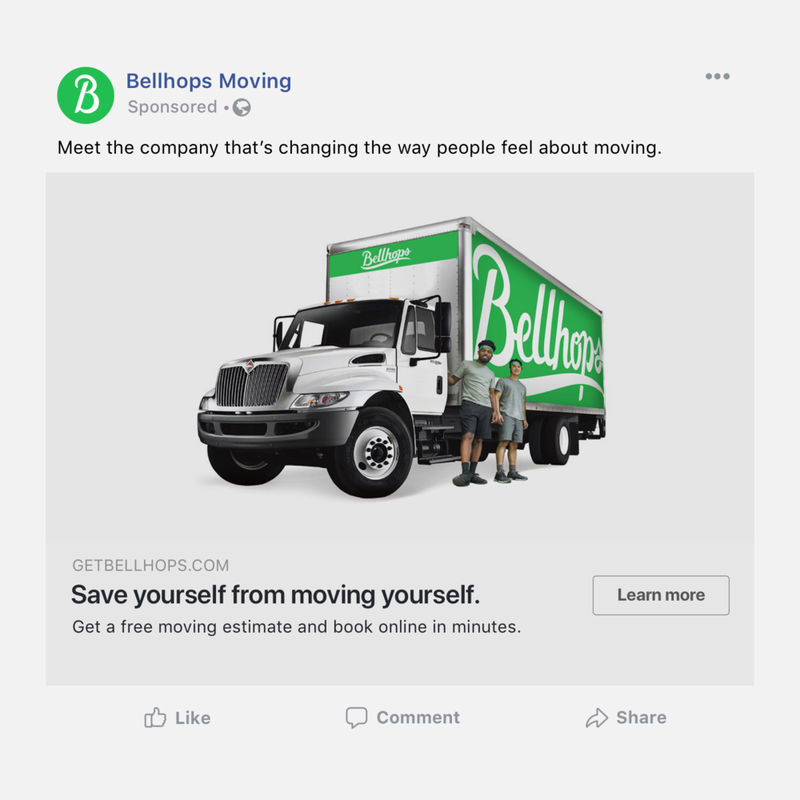 In addition to supporting the product team at Bellhops, I played a key role in developing and designing integrated marketing campaigns to drive growth and brand awareness. 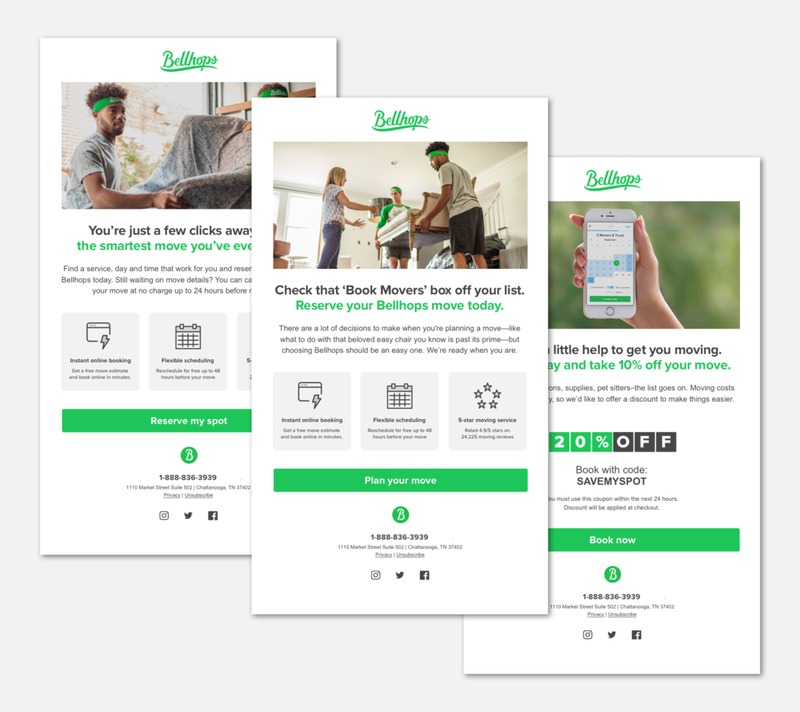 Because Bellhops was a rapidly scaling and evolving company, consistency was key as we built these campaigns out across a wide variety of paid and organic channels. Branded uniforms increased awareness and trust from customers and communities. 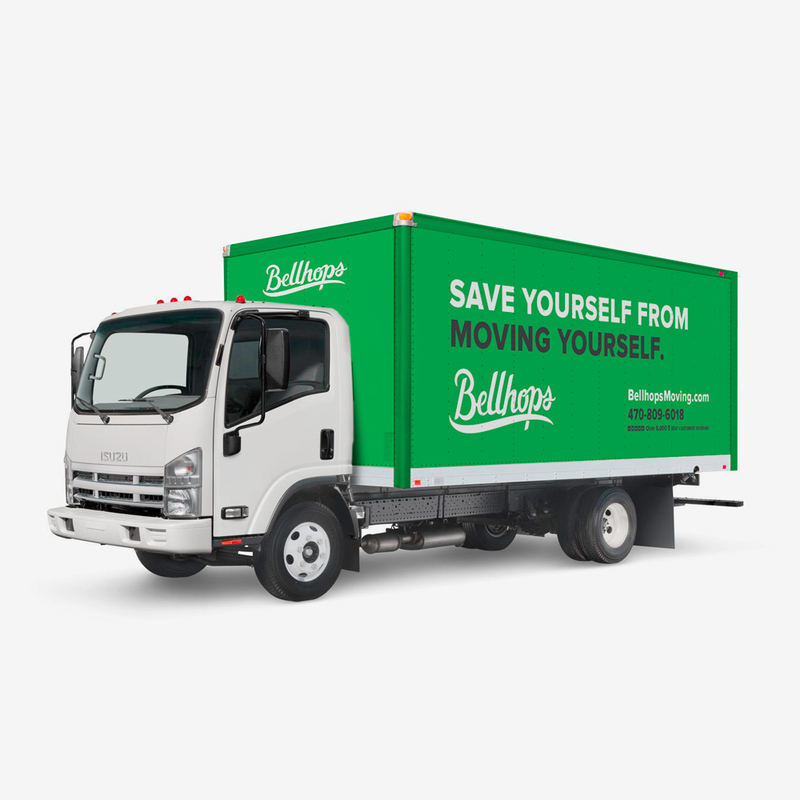 A fleet of branded moving trucks doubled as mobile billboards in the 30+ cities Bellhops served. An abandoned cart email funnel brought prospective customers back to the site to complete their booking. First-touch and retargeting Facebook campaigns were served to a high-intent, moving-focused audience. Design and delivery were closely tracked to reduce CPC and CPA. 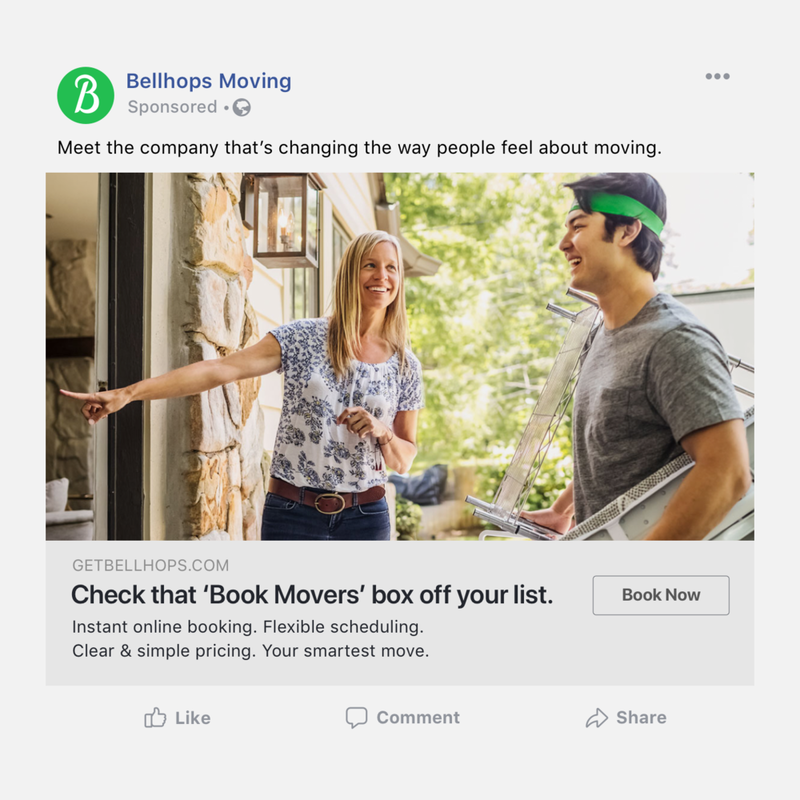 Short video ads for social media and lead channels introduced the benefits of choosing Bellhops and set the brand apart from its competitors. 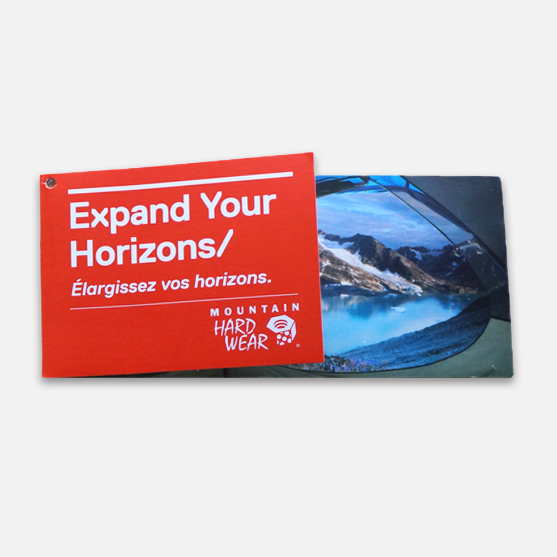 Display banners were presented to potential customers in times of planning and preparation for their move. 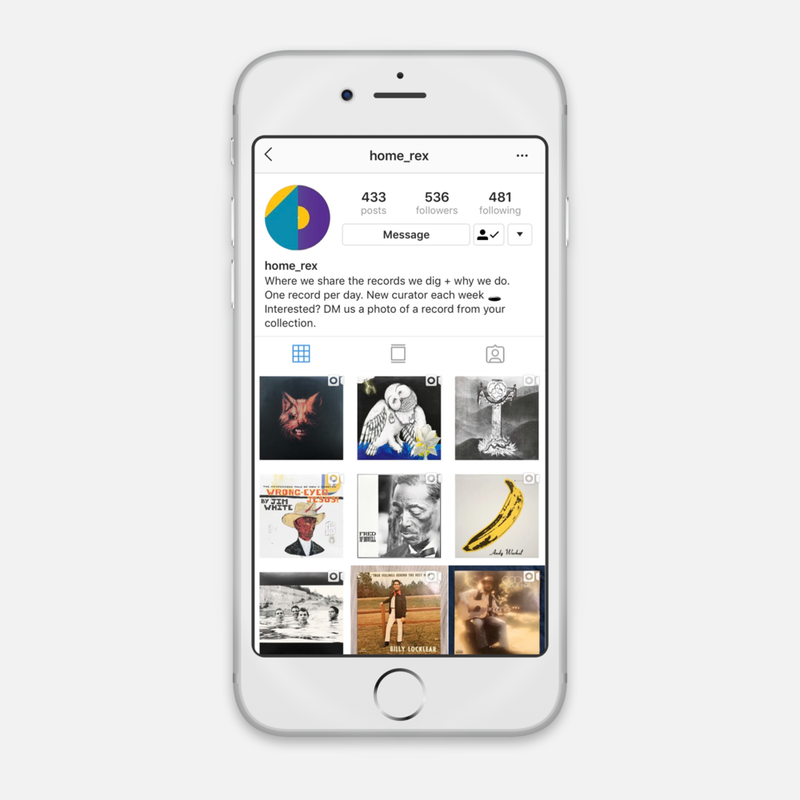 The marketing work above led to various landing pages on the Bellhops marketing site, where interested parties could learn more about the company and its services, and eventually enter the booking flow.